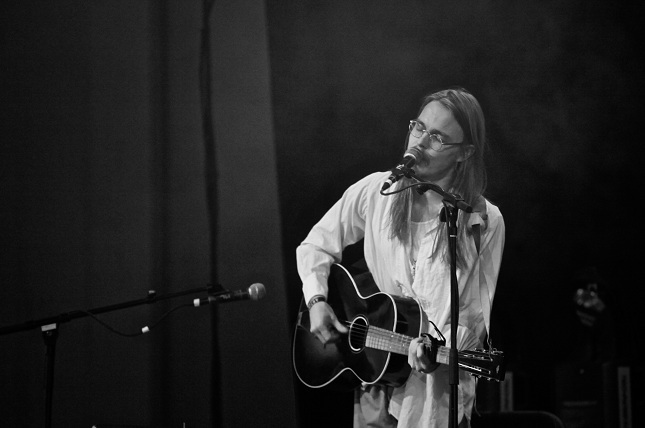 Mikko Joensuu continues the difficult path to happiness or perhaps normalization of feelings. An exhausting search for the “time that will be” digging within his mind without fear of showing his vulnerability of feelings. “Amen 2” is the second chapter of the ambitious trilogy of “recherche du temps retrouvé”, which began with “Amen1”, which was made using acoustic instruments and sounds arranged with gaunt appearance, so as to ensure the perfect amalgam of music and emotions. It was a slender folk that was used to describe the loss of hope, the danger of falling into the abyss and the fear of loneliness. The new work explores other sound territories and the inner quest seems aimed at that intermediate place between the utopian happiness and the absolute despair. A place of respite, which you are aware that you can’t take root, but visit occasionally to escape from the prison of the soul. The production is deliberately full of new, vivid colors with which to paint suspended and fragile emotions collected between these grooves. This wealth of tools is the description of the moment in which you begin to get out of the darkness, watching a faint light like in some episode, apparently lighter, of the project “This Mortal Coil”. A fascinating drive, which develops the impossible definition of the concept of God’s existence as well as his denial. An album full of romantic yearnings, similar to the young Nick Cave’s attempts, drunk with religion, engaged in the battle of the assumptions after death. In the seven years leading up to the first chapter of the trilogy Mikko has lost his faith, and this complex path is also the attempt to come to terms with his own religious education, venturing into the mission, as arduous as worthy of admiration, to establish something in which believe again. The choice ascetic / ecstatic, the lonely footsteps in the fresh snow, the footprints in which a glimpse of God, similar to the mystics, saints, the immoderate consumer of magic mushrooms, peyote and lysergic acid. Looking for someone that no one will ever find, but this is meditative music, full of inspiration, shattering urgency, shoegazer melodies and spatial drifts with Spiritualized taste, which remind us that the important thing isn’t the destination, but the path, the meditation and the desire for inner growth that allow us to find our gods, because there are arrogant answers, but only hundreds of questions and doubts unsolvable. 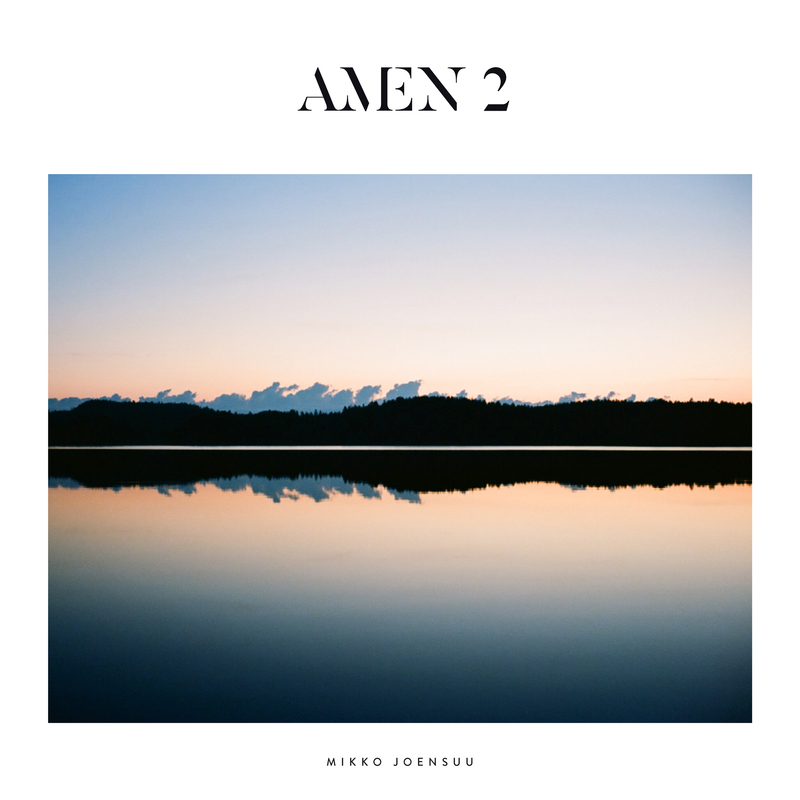 “Amen 2” is a brilliant record, a proper soundtrack of inputs for the journey that leads to its center, to its deepest identity, the horizon that makes it possible to self-discovery.